Before young leaders head out to conquer the world, they should dig deeper into their beliefs, actions and goals in order to chart a successful path. Young leaders bring passion but sometimes it doesn’t make up for a lack of wisdom. Before they set sail, there are a few questions they need to ask themselves to increase their chances for success. 1. What are my core beliefs? To be successful, a young leader needs to be grounded in some fundamental beliefs. Understanding and writing down core beliefs will guide you through stormy times. 2. What is the mission statement of my product or service? The mission statement reflects every facet of the business: the range and nature of the products offered, pricing, quality, service, marketplace position, growth potential, use of technology, and your relationships with customers, employees, suppliers, competitors, and the community. 3. Have I done my homework? As a young leader, it is imperative that you do plenty of research. Older leaders can sometimes go by their gut feelings, but young leaders don’t have that luxury. You need to be over-prepared before moving forward. 4. Do I really believe in my product or service? Great leaders truly believe that whatever their product or service is, that it is the best option among all the competition. If you don’t believe in your product, it is hard to lead your troops into battle. 5. Am I ready to set sail or am I moored to the dock? Sometimes you have to take chances. Are you ready to take risks and not be tied to what has always been done in the past? 6. How will I handle success or failure? One of two things usually happens – you will succeed or you will fail. How will you handle success – are you ready to pull all the levers you need to get to the next level? If you fail, how will you handle it? 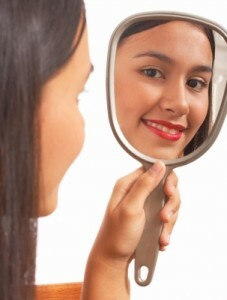 Will you go into a depression and blame others, or will you learn from your mistakes? Young leaders can overcome many obstacles by taking some extra time to ask themselves those questions. 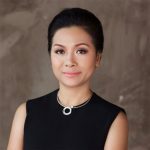 Phuong Uyen Tran, author of “Competing With Giants: How One Family-Owned Company Took on the Multinationals and Won” is deputy CEO of the THP Beverage Group, a leading beverage company in Vietnam that was founded by her father. She is responsible for the company’s marketing, public relations, and CSR programs nationally and across Vietnam’s 63 provinces. She also leads THP’s international marketing programs across 16 countries where THP’s products are distributed including Canada and China.